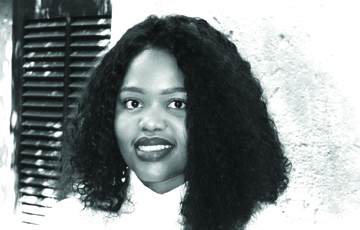 Phetogo completed her articles at KPMG to qualify as a Chartered Accountant, following which she obtained a post-graduate diploma in Applied Accounting Sciences from UNISA. She remained at KMPG for several years, delivering audit services to the financial industry, with a focus on the insurance sector. She currently serves as the Regulatory Reporting Manager and Investment Valuations Specialist at Munich Reinsurance Company of Africa Limited where she looks after regulatory reporting, the annual financial statements, and the unlisted investments portfolio. Her strong work ethic and high performance saw her selected as one of the 14 participants in the company’s Talent Management Programme - FUEL (Future Excellence in Leadership) in 2015. She serves in several leadership positions, including on the Board of AWCA, the MRoA Staff Association Executive Committee where she is a chairperson. From 2010 to 2013 she served as the Chairperson of the Transformation and Diversity Committee in the Financial Services business unit in KPMG - Johannesburg. Phetogo is passionate about uplifting, especially those who are historically disadvantaged, and giving back to her community. She is involved in various programmes run by the Social Outreach ministry at her local church and is the coleader on the CareerBuild programme.